This classic manual is filled with spiritual first aid- recipes, rituals, incantations, and quotes to rid your home, office, and self of negative energy. 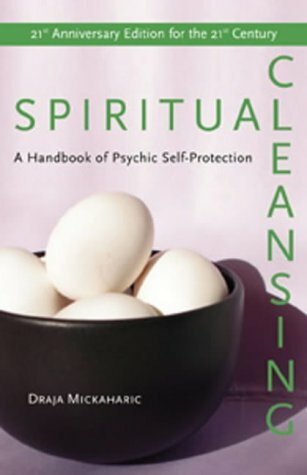 With hundreds of practical ideas, Spiritual Cleansing has been a boon companion to thousands. Spiritual Cleansing is a guide for lay people who'd like to keep their lives and their environments spiritually clean, now newly revised and designed for the first time. Learn how to use incense and flowers to clear the air after arguments and how to employ protection from negative energy while you sleep. Discover ways to remove a previous tenant's energy from your new home, and why it's important to do so. There's even a chapter on the Evil Eye, a universal human phenomenon, and how to counteract it. Techniques to increase mental acuity, bring love into our lives and attract money are all included. This newly revised classic manual is filled with spiritual first aid - recipes, rituals, incantations, and quotes to rid your home, office, and self of negative energy. With hundreds of practical ideas, Spiritual Cleansing has been a boon companion to thousands. It is a guide for lay people who like to keep their lives and their environments spiritually clean.